As a technology advisor to professional firms and small businesses, I spend a lot of time talking about “the Cloud”, preaching that we are entering The Third Age of personal computing. Today I ventured into the clouds for real, cashing in on a long-delayed charity auction purchase. 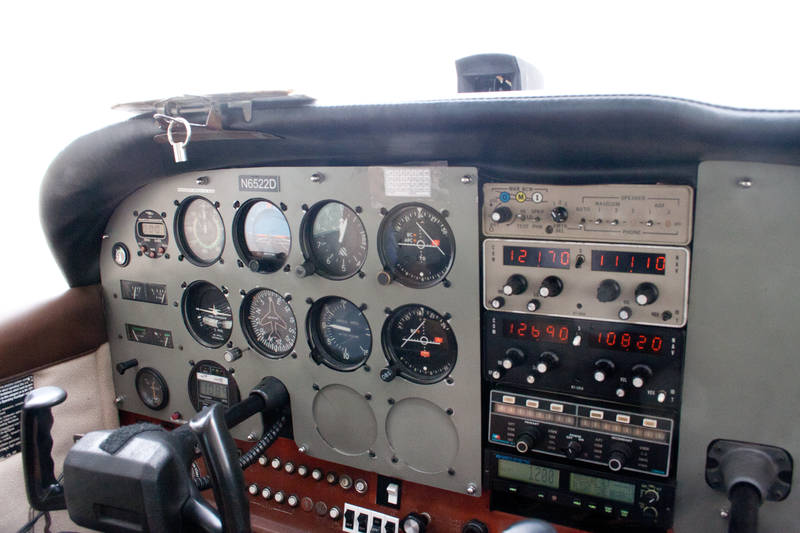 To the left here is the instrument panel for the Cessna 172, into which I squeezed my body for a 30 minute flight up the Delaware River from Northeast Philadelphia to Trenton and bac k.
The Delaware is an interesting mix of commercial and recreational activity, with a pretty clear demarcation point just north of Bristol. 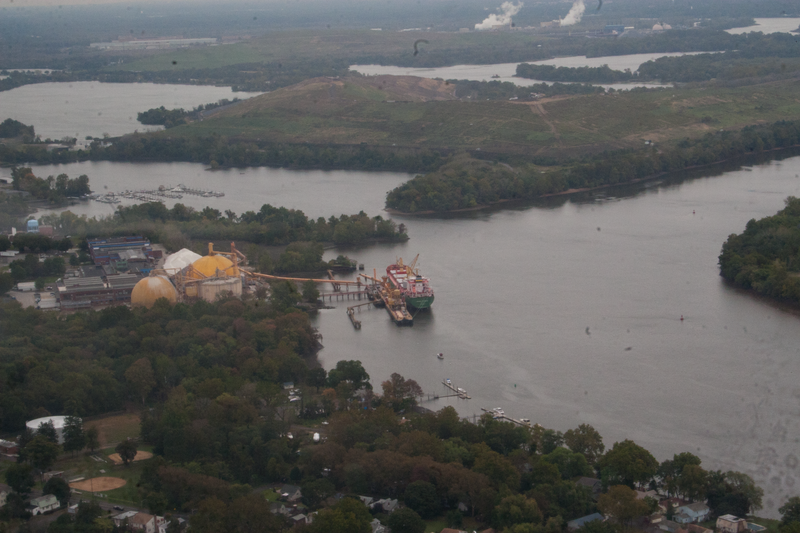 Beyond that the river narrows, personal docks appear beside small riverside houses, and the industrial quality of the far Northeast part of Philadelphia gives way to the “woodsy” feel of Bucks County. Further up-river it is evident that vehicular traffic rules the area, with three large multi-lane bridges connecting Pennsylvania and New Jersey. Route 95, the Pennsylvania Turnpike, and then Route 202 all span the river north of Bristol. 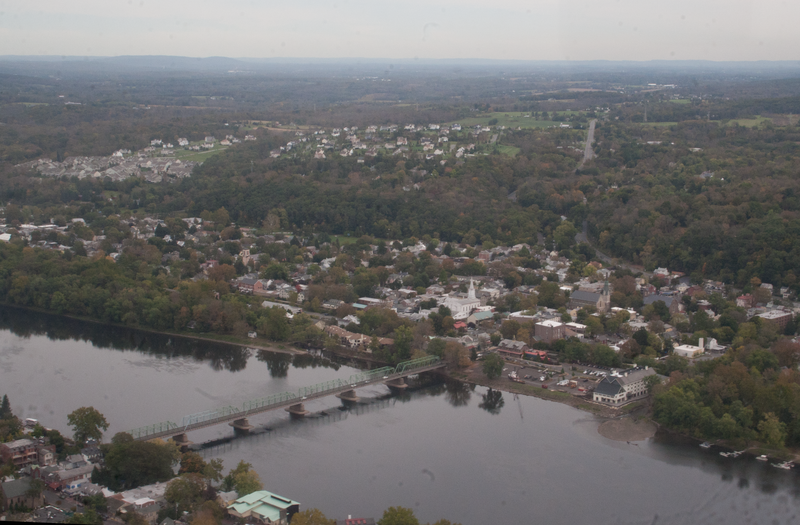 Continuing north we fly over scenic New Hope and its sister city on the east side, Lambertville, again connected by bridge, this one with a considerably smaller footprint. From 1,500 feet New Hope feels positively bucolic. 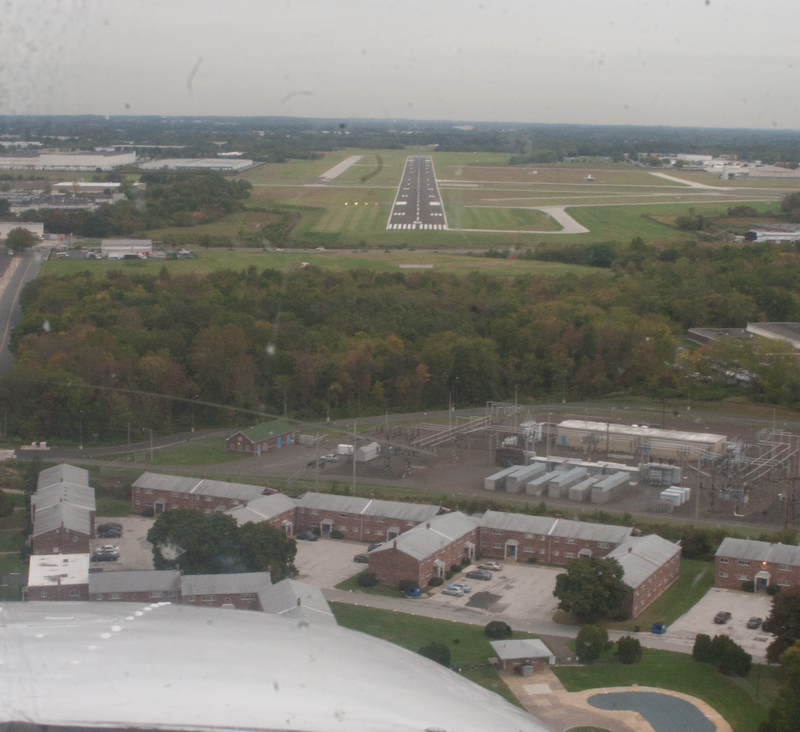 At Trenton we make our 180 degree turn, moving inland over the once spacious and lush farmland of upper Bucks County. 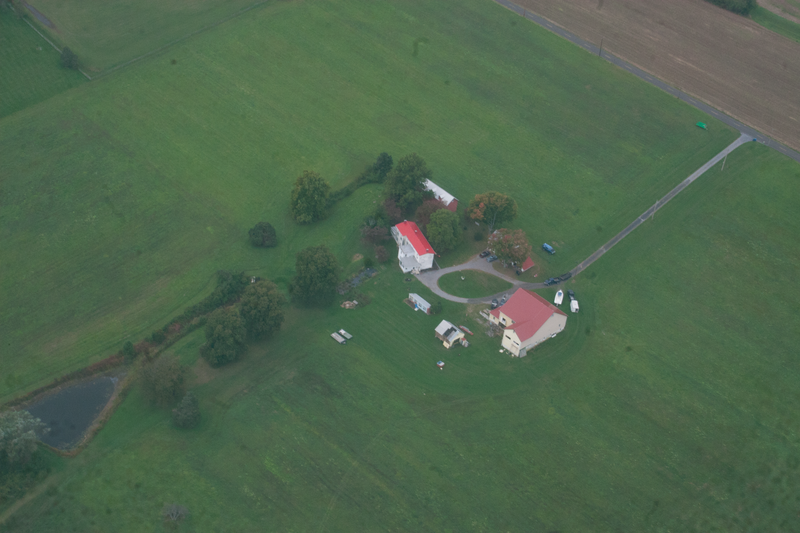 From the air it is pretty obvious that the primary crop on this farmland today is McMansions. Crossing over Route 132 back toward Philadelphia we can see the Center City skyline looming in the far distance, the Comcast and Liberty towers poking their heads well above the surrounding terrain. 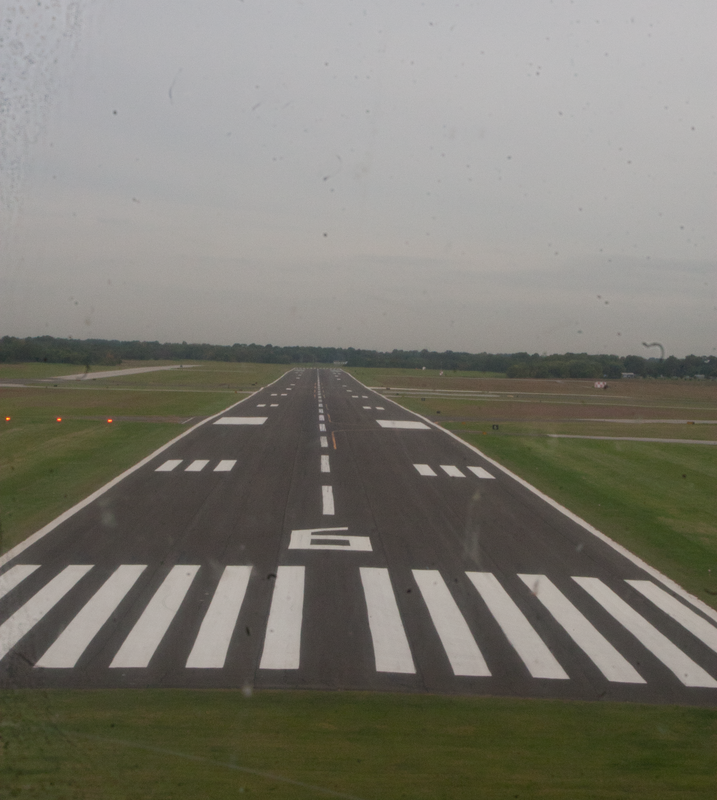 And then we are on final approach, descending over a mix of residential and commercial properties to find the runway from which we departed just a short while ago.